If you have ever driven through a great neighborhood and remarked about the quality of it, most likely it’s because you recognized the beauty and the appeal of the homes built there. 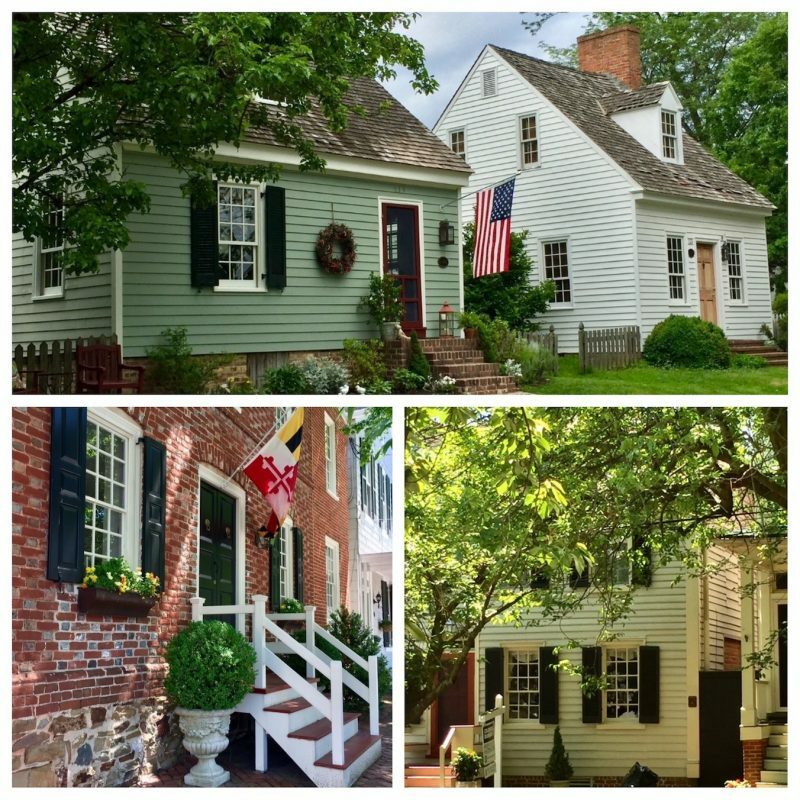 We are fortunate to have many such neighborhoods here on the Eastern Shore and in neighboring Annapolis. 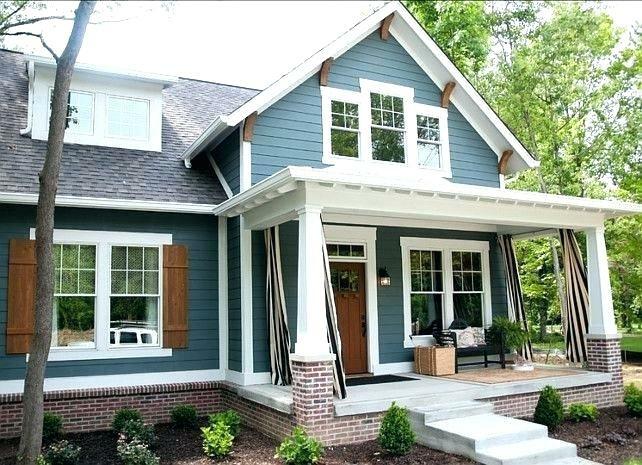 Was it an awesome front door and window package, the presentation of a front porch, or the proper use of decorative corbels that caught your eye? 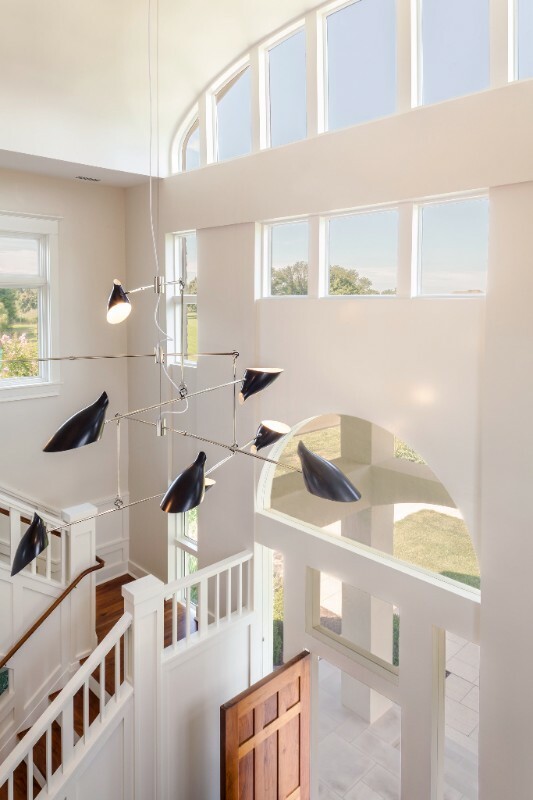 When building or remodeling, careful consideration of the level of detail is essential to create a template for consistency throughout your home. 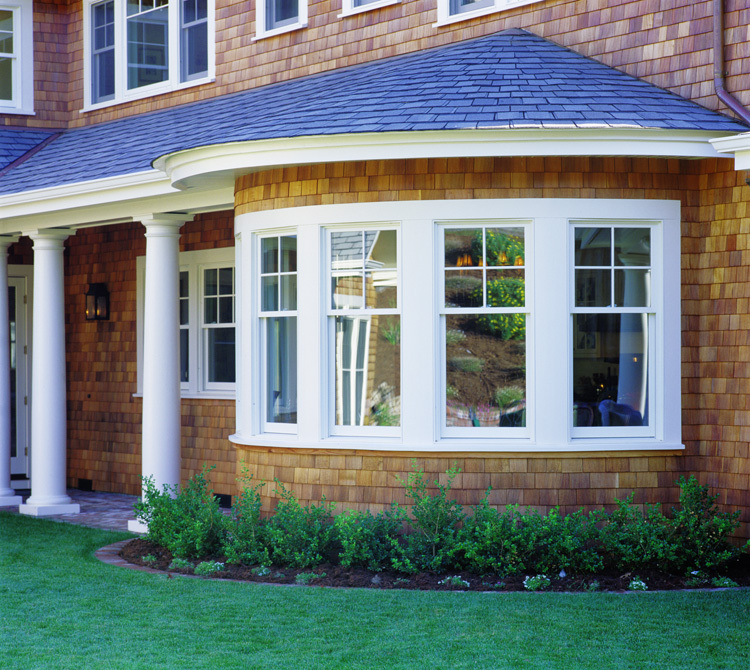 Well-conceived architectural details ensure that your completed home project is authentic. Value. One little word that says it all. Detail helps build value into your property from Day One—and working with a custom builder will not only help ensure your home is built to last; your builder can work with you to maximize its value over time. 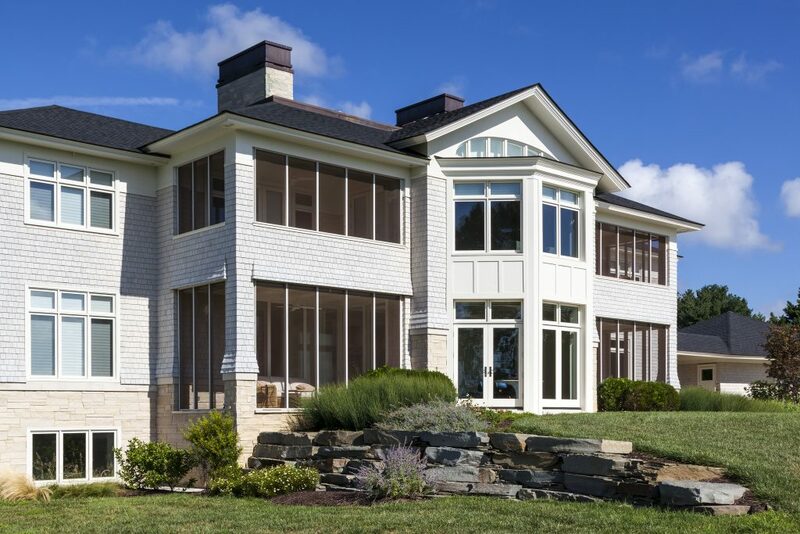 In size, in scope, and in limitless detail, this custom Lundberg-built home delivers appealing visual impact. This architecturally well-detailed home exterior fits well in its surroundings and uses specific materials to create details that meld the interior and exterior beautifully. 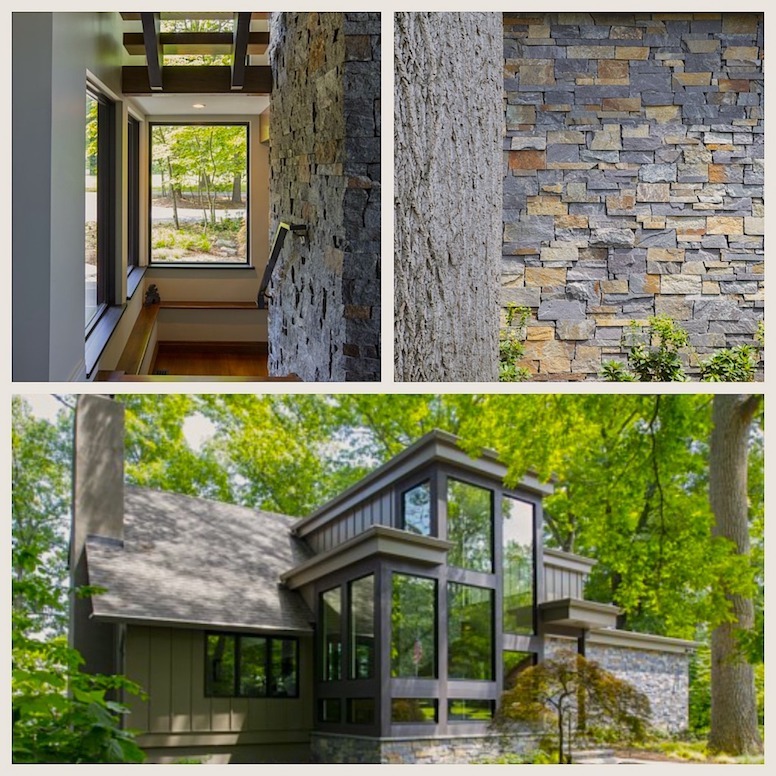 Note how the exterior stone plays off the natural outdoor elements and then appears again inside the home. 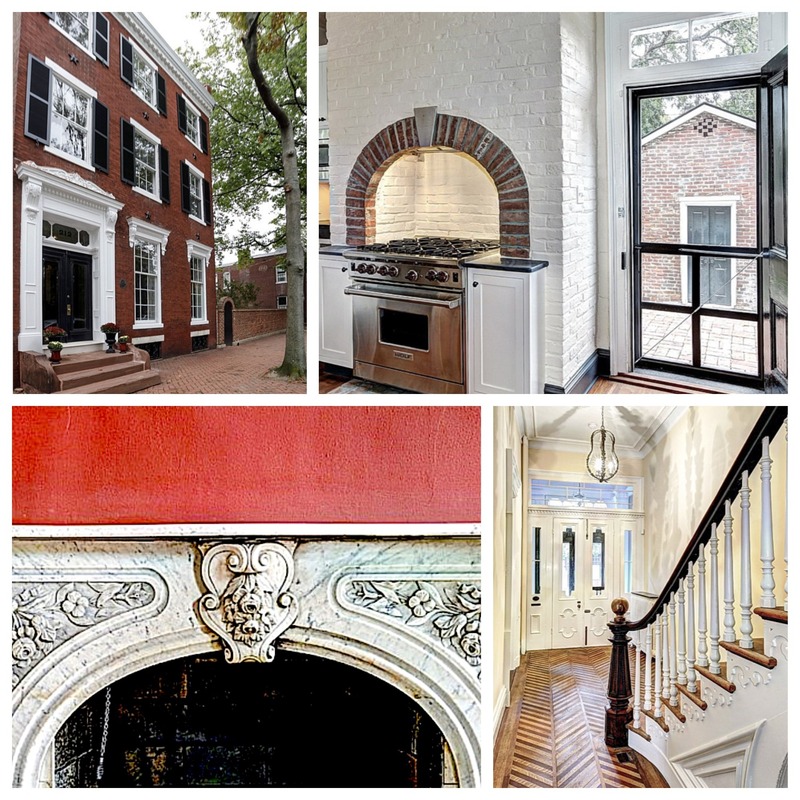 This classic 18th century townhouse remodel by Lundberg Builders provides a perfect example of authenticity in architectural detail. 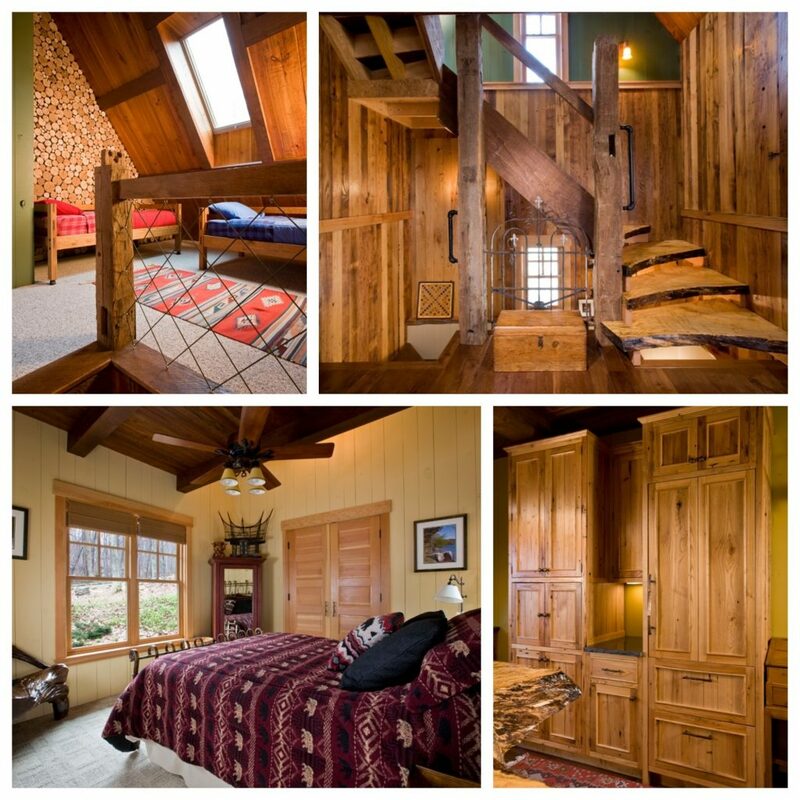 While it has been updated to provide modern convenience, it remains true to its historic roots inside and out. 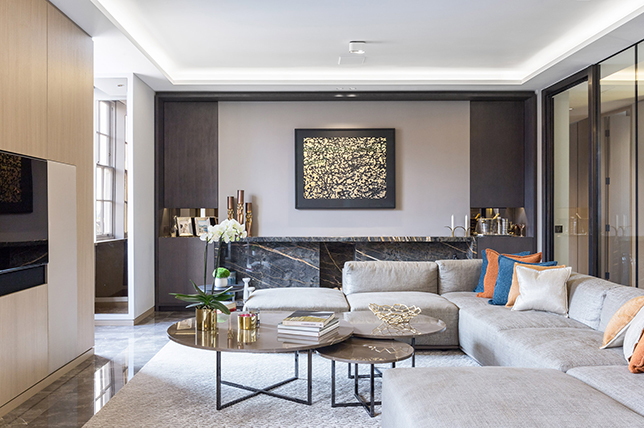 In summary, by choosing the right materials and methods, keeping an eye on aesthetics, quality, and livability over the long-term, then balancing that with your home’s long-term life cycle cost, you will gain not just pride of place, but peace of mind. 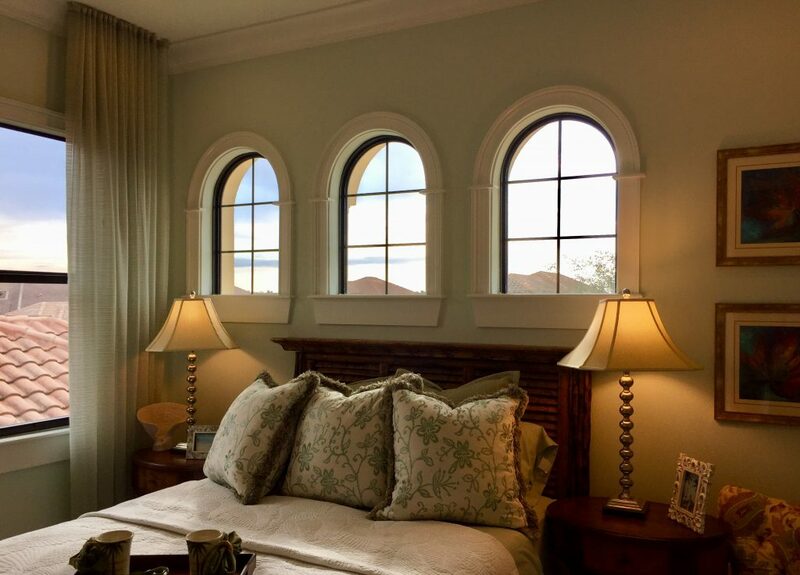 Come and share your love of architectural details with us. 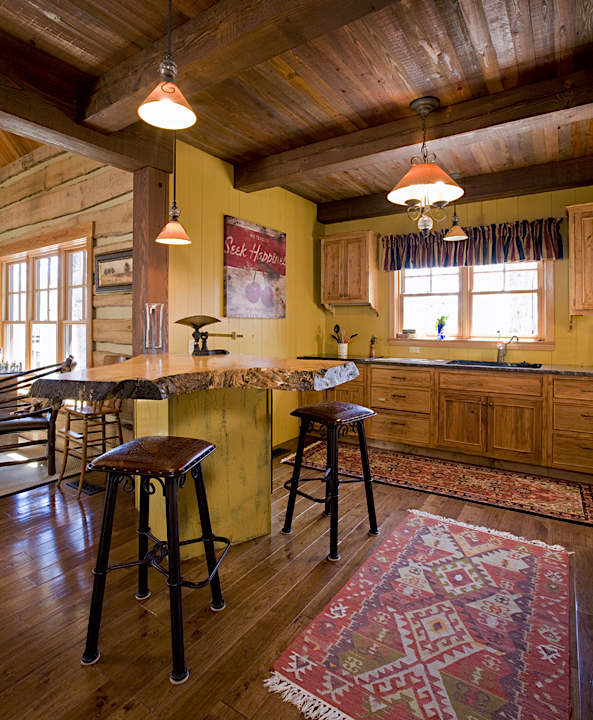 Contact Lundberg Builders at 410-643-3334, Lundberg Builders, Inc. is located at 314 Main St., Stevensville, MD. 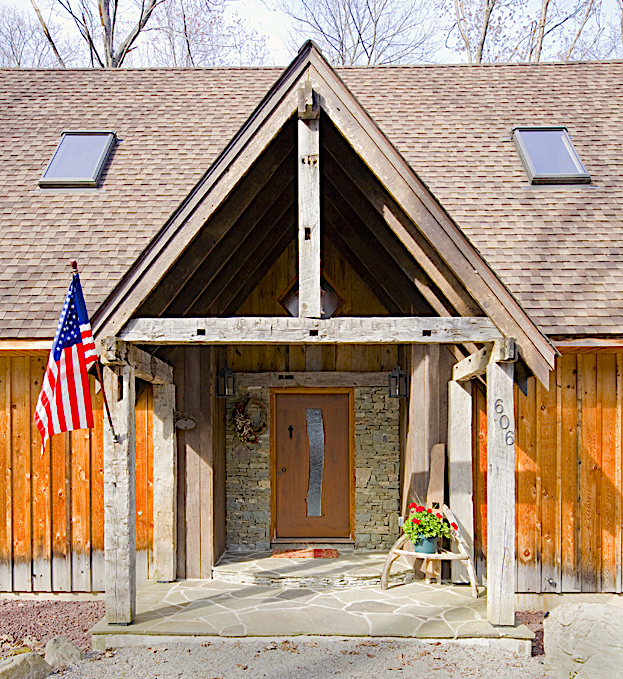 Visit us online at www.lundbergbuilders.com. 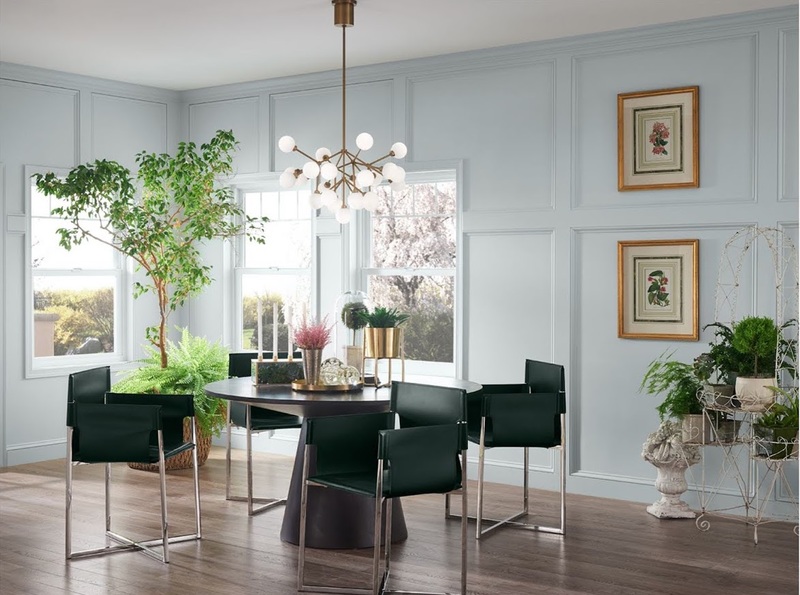 If you’re considering a color re-work for your home’s interiors this spring, you will have plenty of intriguing options on a spectrum from subtle to sublime shades. The two main themes in color can best be described as Muted and Deep. The spectrum of color can best be seen in this palette prepared specifically for 2019 courtesy of The Creativity Exchange. 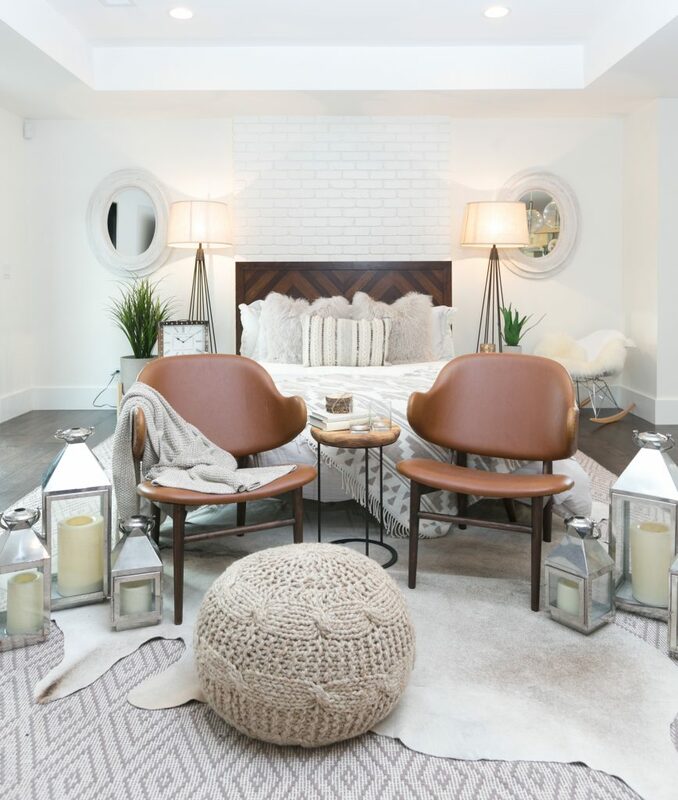 There’s something very romantic and relaxing about the muted approach to color for bed, bath and main living areas. 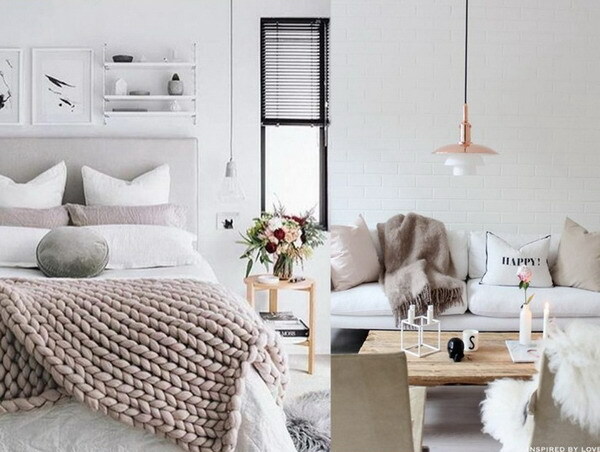 Another plus about employing a muted color is the way it enables you to embrace what’s trending without having to go too bold if that just isn’t your style. 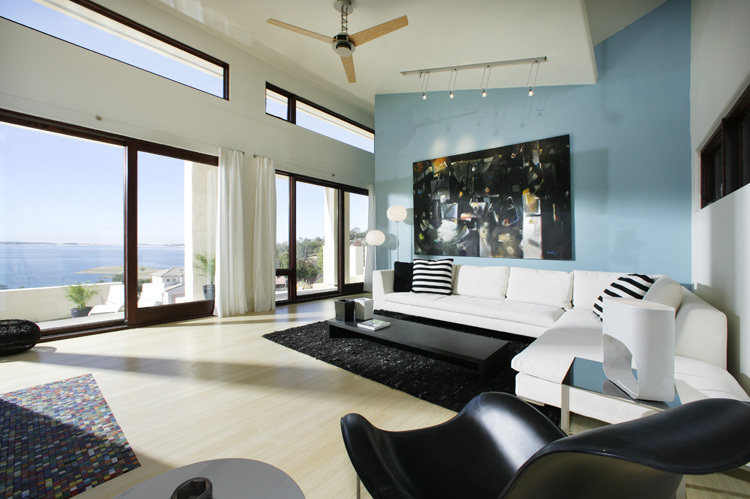 This contemporary living room design pulls from the Ash and Soltice colors in the palette above. While the room exudes a sleek and sophisticated vibe, it does not lack warmth and is clearly very inventive, and inviting. 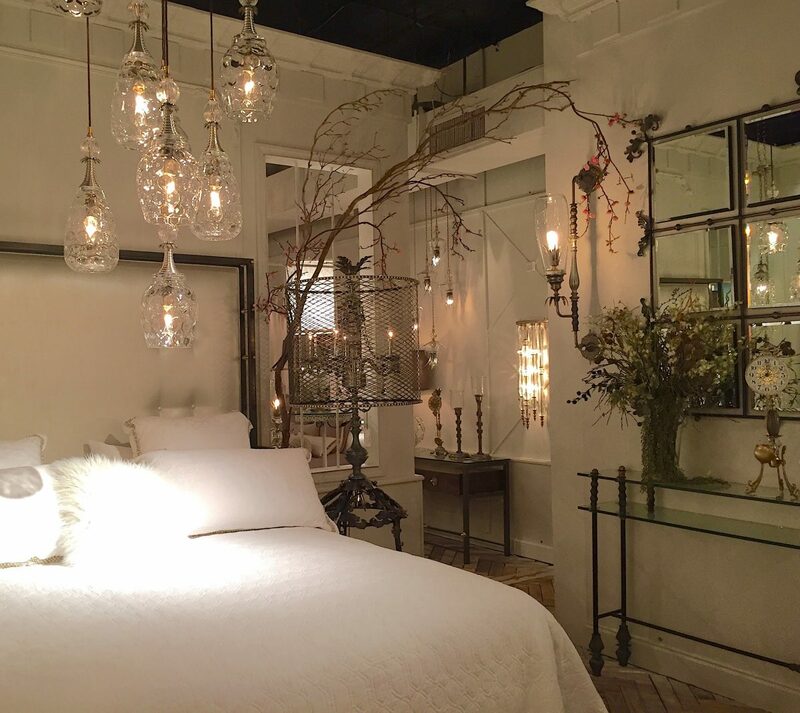 A soothing bedroom and bath is the ultimate retreat from the real world. A slight hint of mint on a bedroom wall, which pulls Misty from the palette above, is like aromatherapy for the eyes. 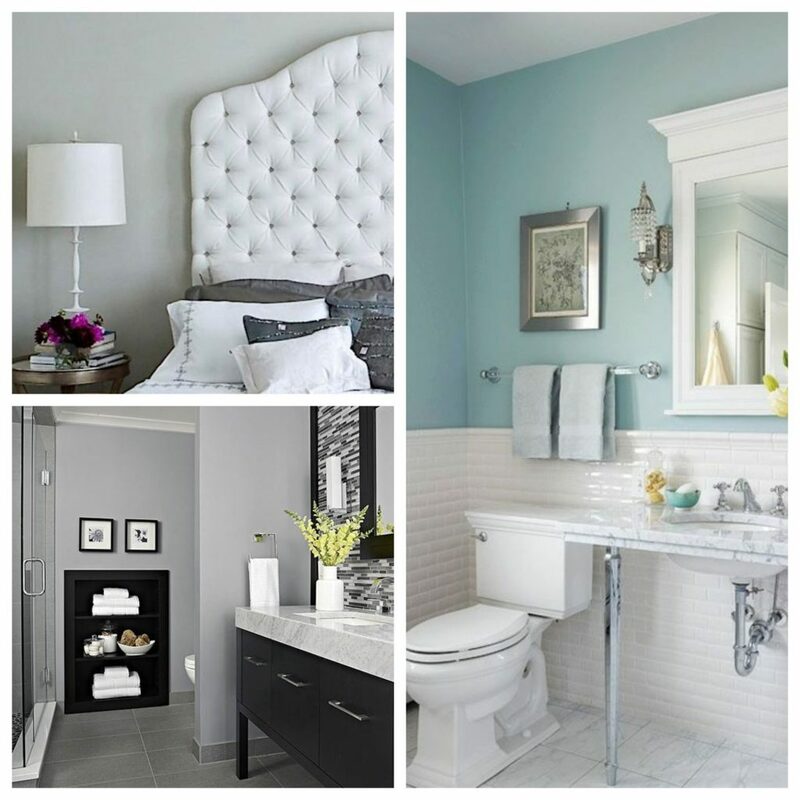 The most subtle of aqua tones creates an easy, even breezy feel in the bathroom, and gray transcends boring when it is combined with a bolder vanity and backsplash option, yet it maintains the subdued vibe of a place of refuge. 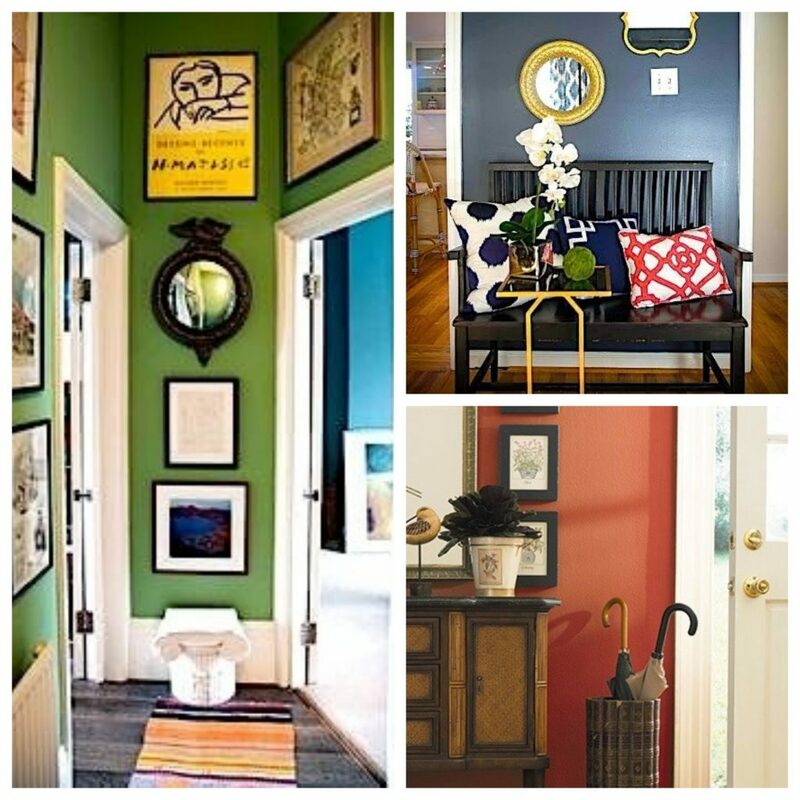 Trending down this year’s palette are richer, thicker color statements for those who easily embrace and must have change. 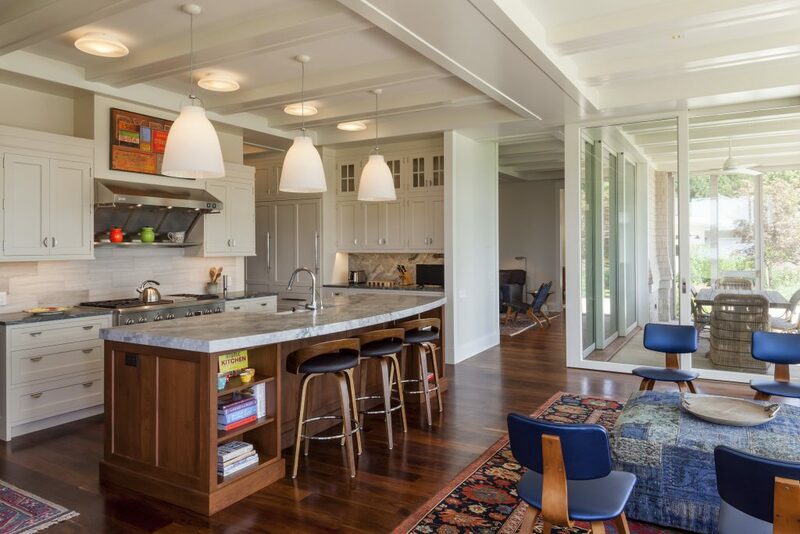 A deeper green for main living areas and kitchens is about the most popular color out there right now. With the proper balance of lighter elements like this sleek white table and chairs, a color like Nightwatch from the palette exudes the confidence of your design style. 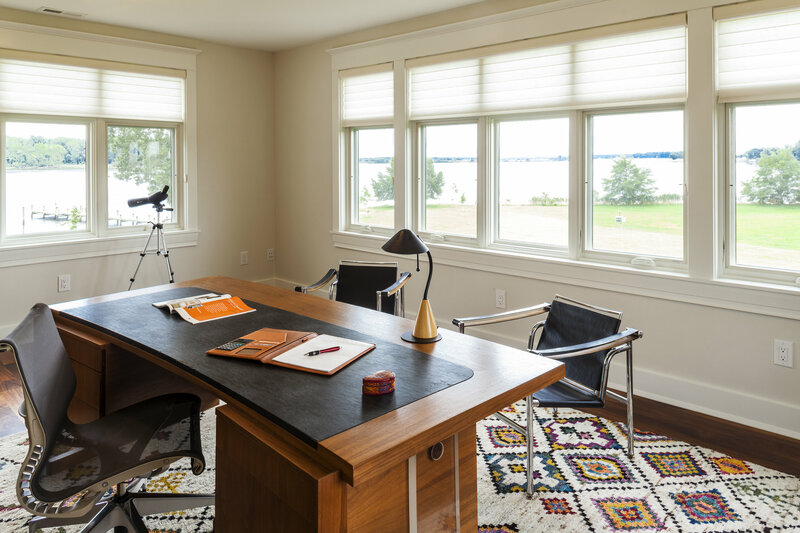 Personal spaces like home offices can become havens for creativity when a darker hue is infused into the design. 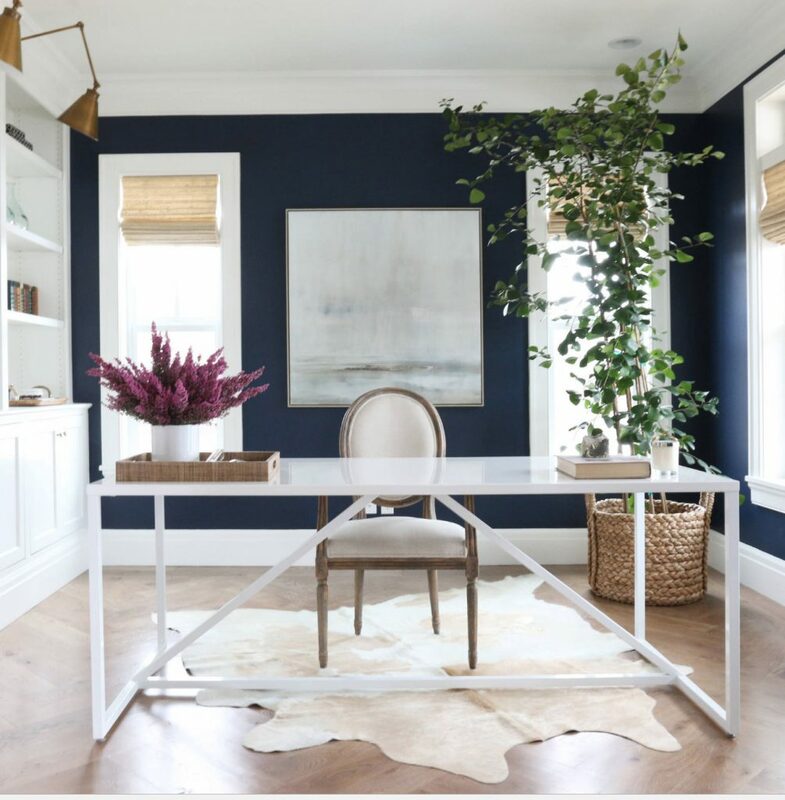 While Charcoal Blue may never have been top of mind when choosing a paint office color, it clearly can provide inspiration and inviting sight lines. And don’t forget your home’s smaller spaces like hallways and entryways. 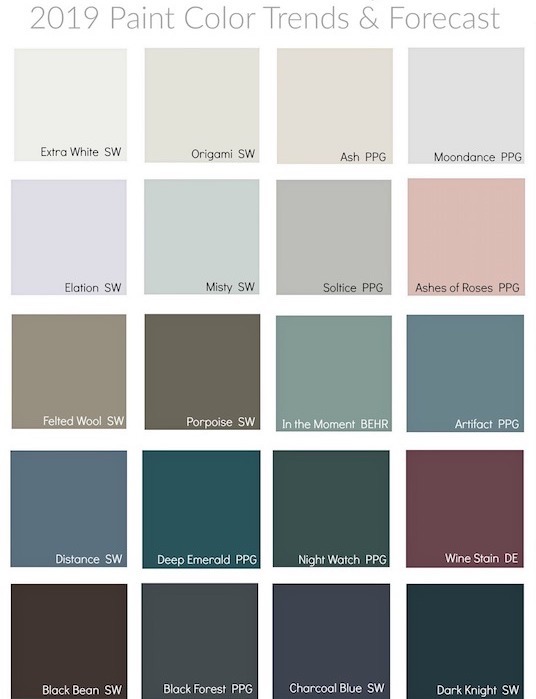 When added as an accent wall color, these deep hues help convey your home’s color story. Of course, when it comes to curb appeal, that’s a whole other story. 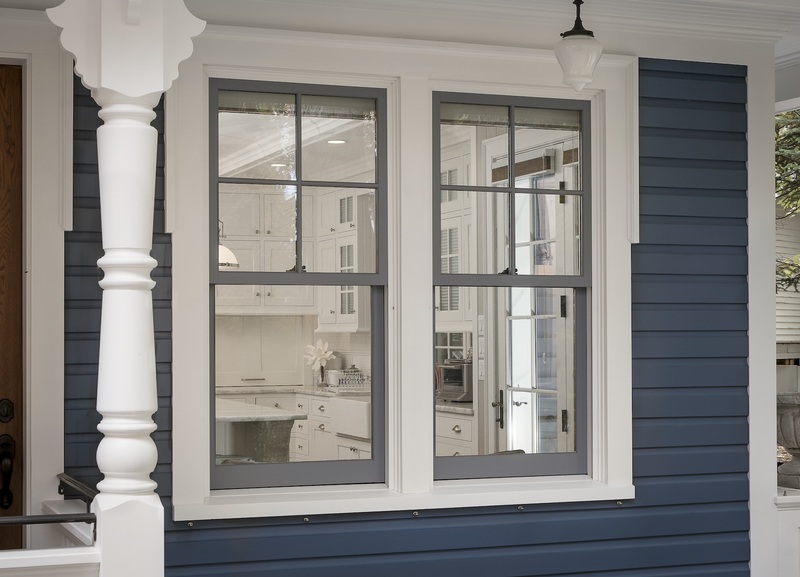 We’ll leave you with a tease of a home we just love and we’ll explore more with an exterior home color “primer” in our upcoming newsletter—so be sure to check your inbox for that! Are you in love with a certain paint color right now? 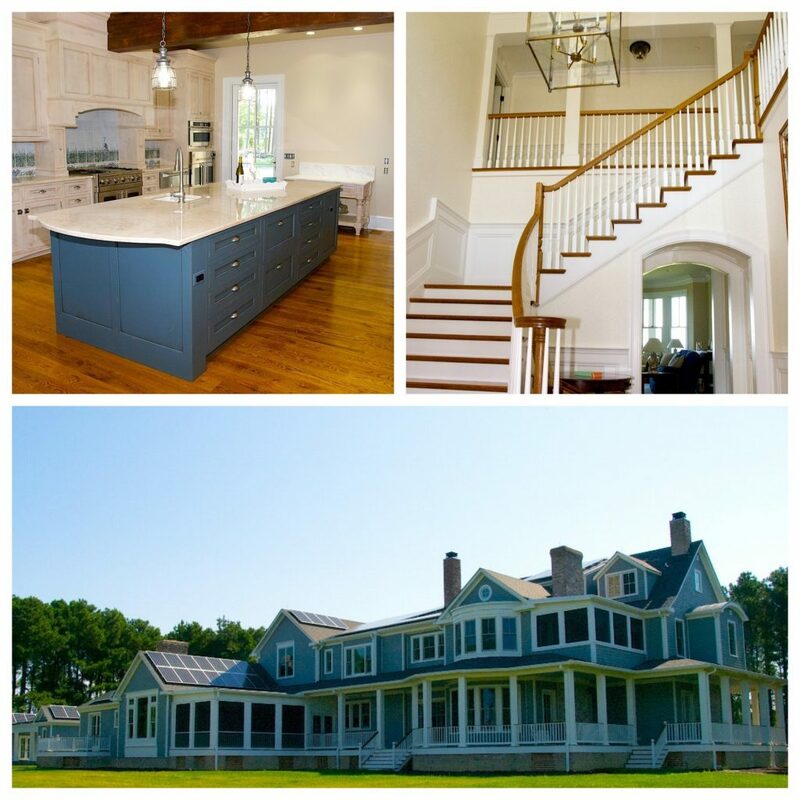 Contact Lundberg Builders at 410-643-3334 and come and talk paint with our pros! 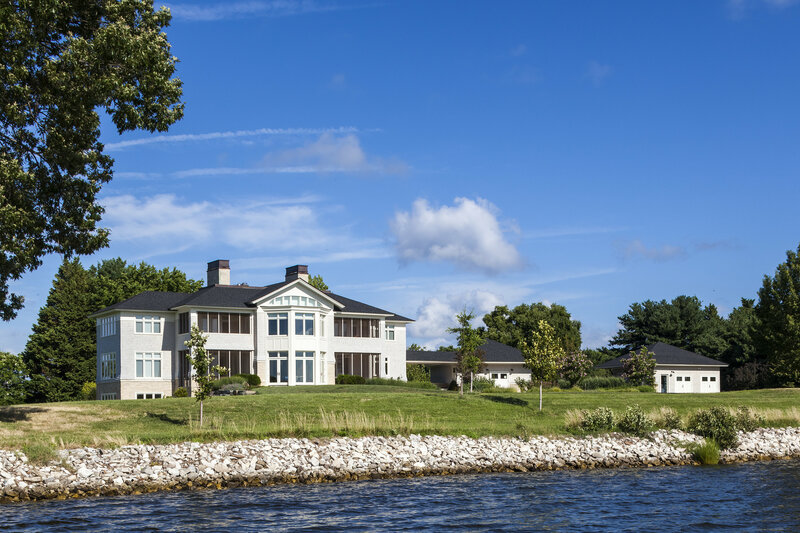 Lundberg Builders, Inc. is located at 314 Main St., Stevensville, MD. 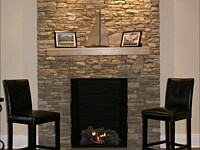 Visit us online at www.lundbergbuilders.com. 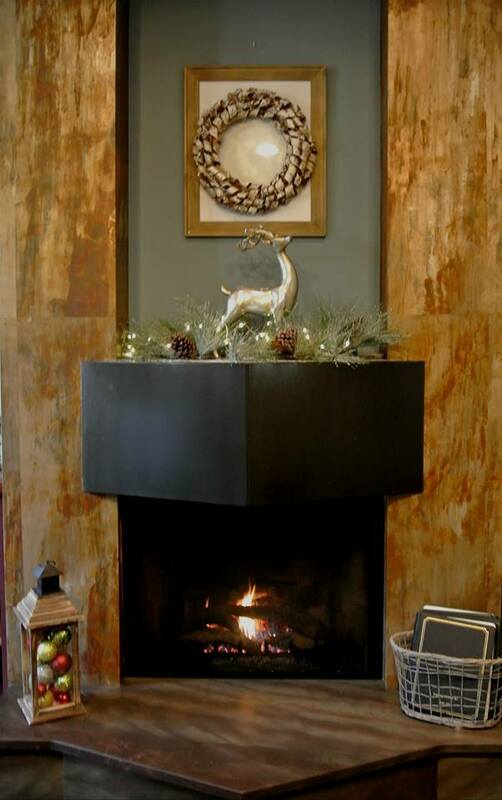 So when Santa comes for his annual visit, will he shimmy down your chimney in style this year, or is your fireplace surround in need of a focal point fix? 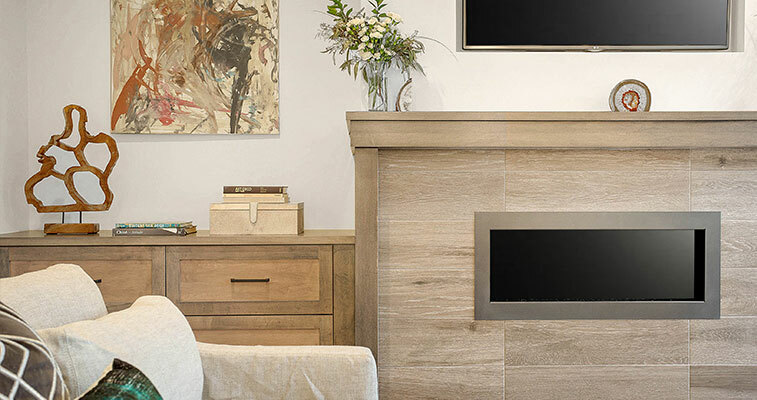 Thanks to an abundance and versatility of materials, you can use your fireplace surround to help set the mood and style of an entire room or living space. If you’re building new or have a redux in mind, we found 5 fab looks that are on-trend and transcend traditional brick and stone options. 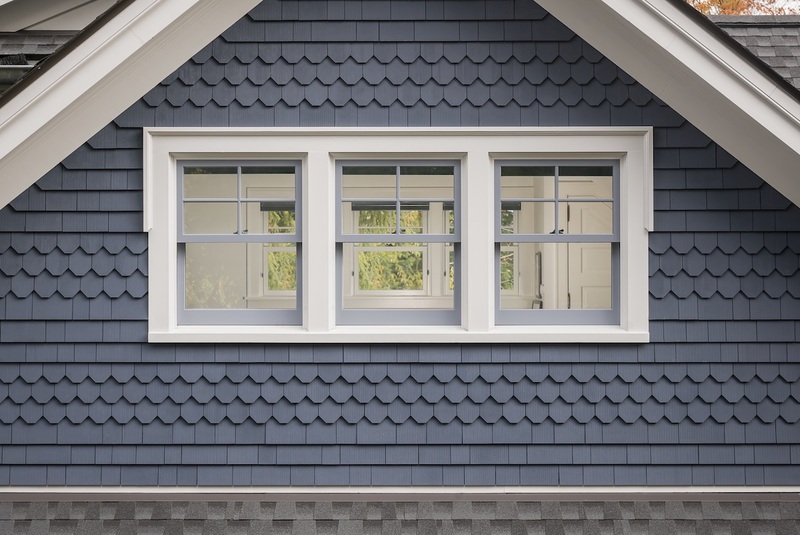 There are few limits to the façade looks you can create with today’s tile options. 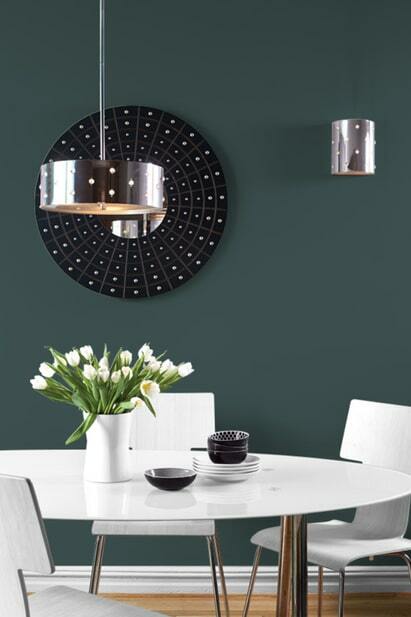 If you enjoy a bit of bling in your room, metallic porcelain provides a glow that complements those burning embers. The look is achieved by mimicking the appearance of antiqued metals. While this option is said to provide the strength and endurance of ceramic tile, experts caution it is more maintenance-prone. If you crave style, however, this option is often applied without the grout associated with tile to create a seamless and sophisticated vibe. Wood-look porcelain tiles are a great workaround if you LOVE the look of wood and want it to embrace your fireplace. 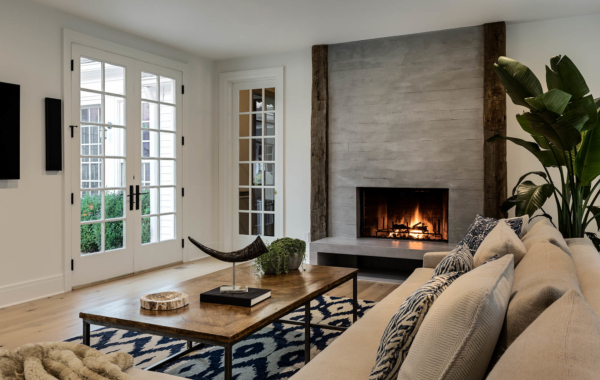 With real wood being a fireplace surround hazard, the ability to mimic this natural resource with a more durable and much safer option can speak volumes of not only your good sense, but your great taste. Patterned tile really allows your creativity to flourish. 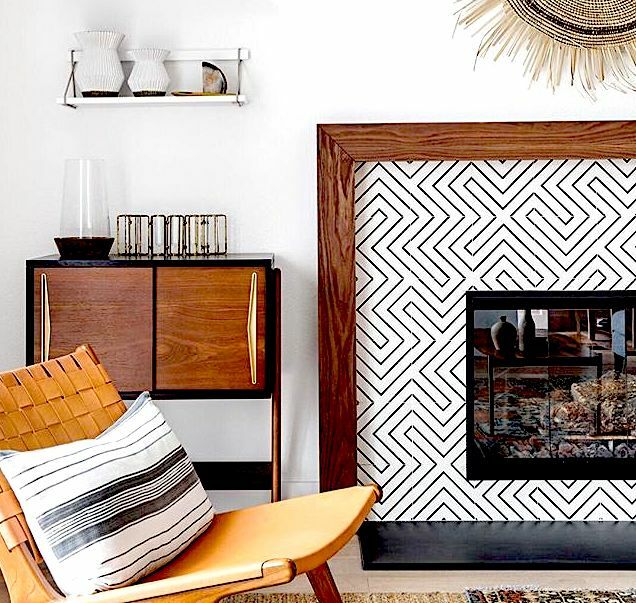 Think about a pattern you’ve always loved and odds are you can duplicate that look with your fireplace surround. Options in this area are incredibly versatile, but be thoughtful of just how much space you have and how long you want to live with the pattern you choose. 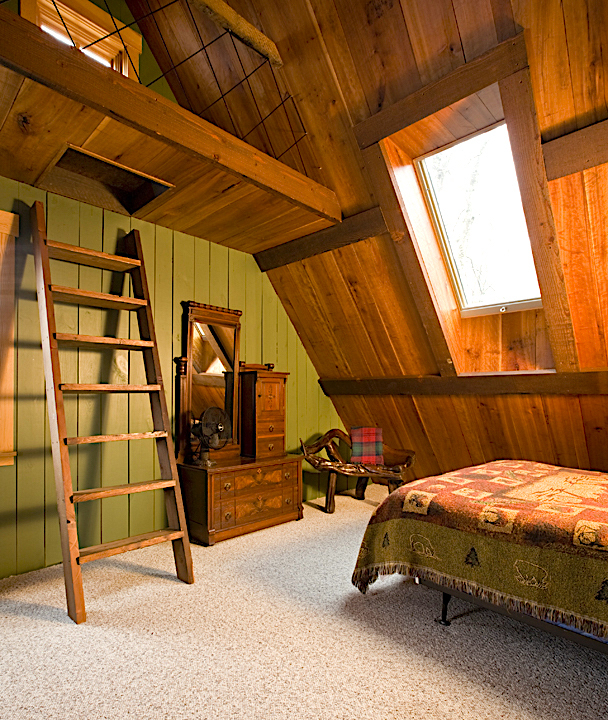 Choosing a too-trendy look here can have your whole room looking dated before its time. The beauty of a concrete façade is that it is highly customizable, durable, easy to keep clean and requires very little maintenance. This is also an especially desirable option if you prize the look of a floor-to-ceiling fireplace. For the safety-conscious and the practical, concrete can be the wise choice that affords the benefits of a stylish statement piece. 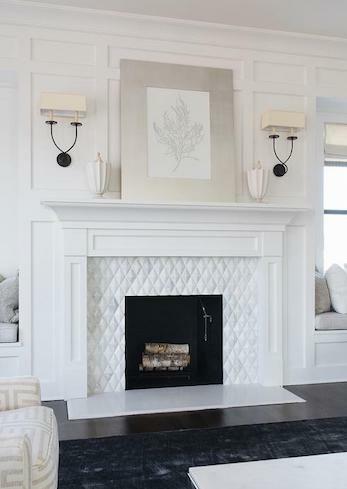 If you’re a fan of Carrara marble, experts say you might also want to consider a fireplace surround made or Naxian or Naxos marble, named for the area in Greece where it is sourced. This ultra-white and creamy looking marble is the ultimate option for the homeowner striving for a classy, upscale look. Described as lightly dappled and accented with shimmering crystal deposits, this marble is often seen in striated form for fireplaces delivering textured appeal and visual impact. 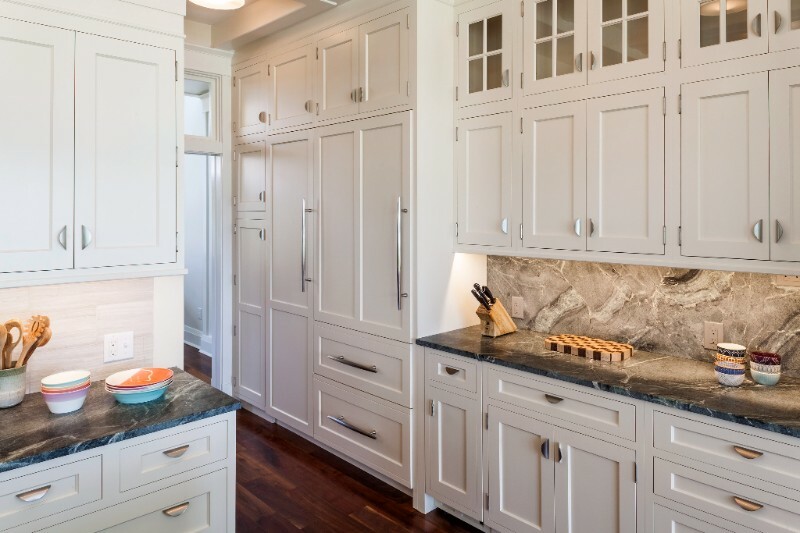 Since marble is a form of limestone, it is a softer material and will require a regular, but simple maintenance routine to keep it looking beautiful. 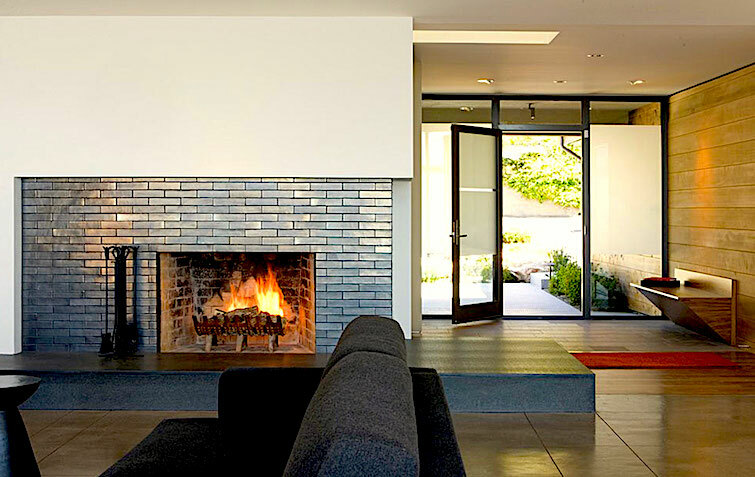 Ready to build a better fireplace? Contact the home building pros at Lundberg Builders today at 410-643-3334 or visit lundbergbuilders.com. 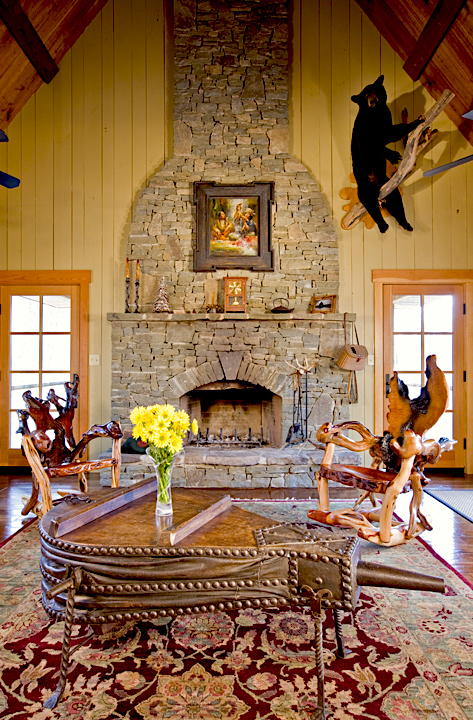 Lundberg Builders, Inc. is located at 314 Main St., Stevensville, MD. Safety –the Number One thing your door needs to do is keep your family secure within the walls of your home and keep the criminal element out. 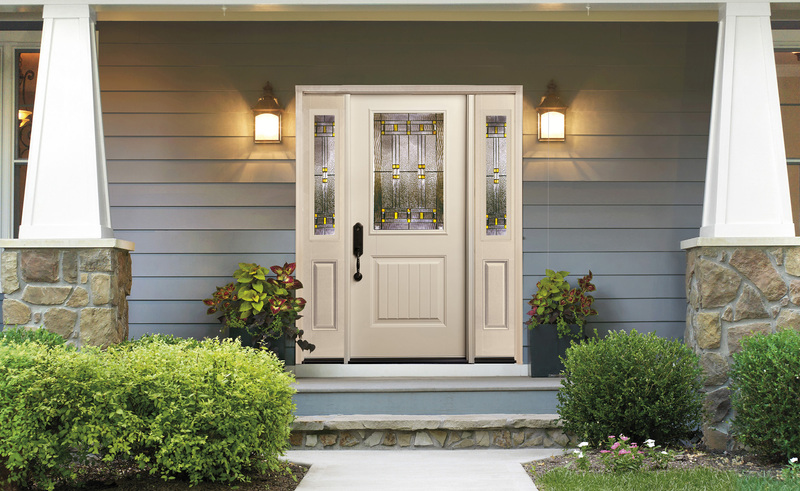 Durability –no matter the material you choose for the door, as a homeowner you need to make peace with the fact that it will require some amount of periodic maintenance to ensure long-term reliability. Curb Appeal –Finally, the fun stuff! What’s great about today’s doors, is that you need not sacrifice form for function. So, go ahead-think about what the door on your dream home looks like and then talk to your builder and home design pro. They can help you choose the right material and craft the look you desire. 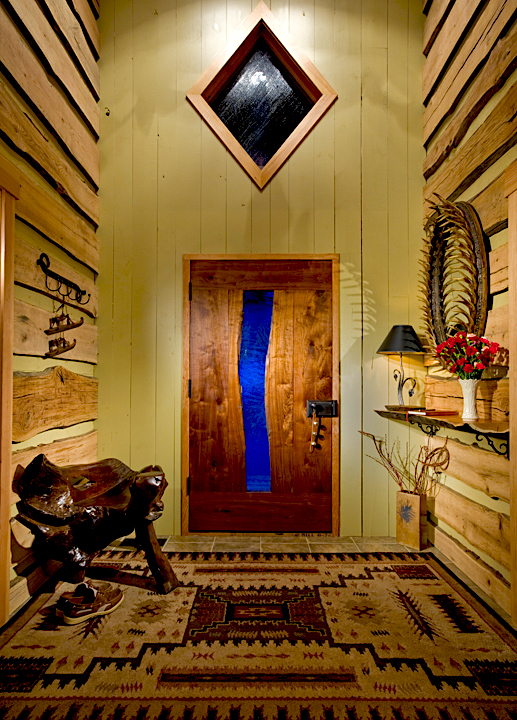 Solid wood doors make an awesome canvas for color, especially softwood varieties, such western hemlock or pine. 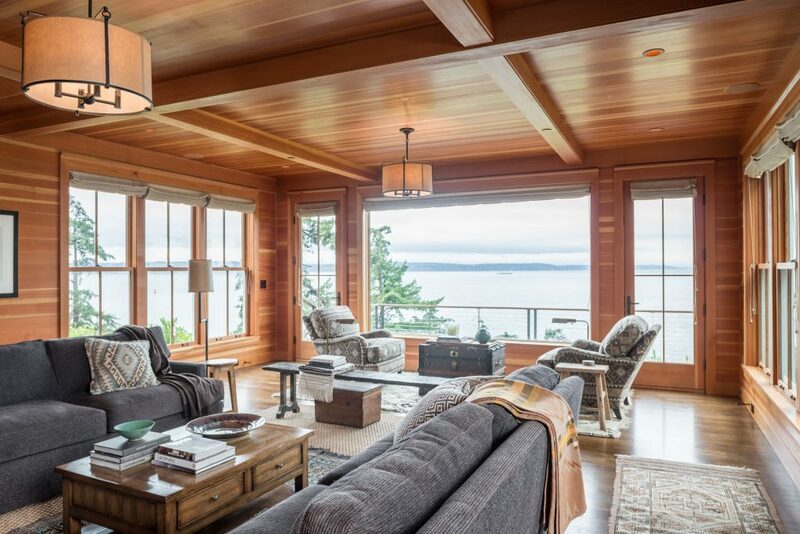 So if you are going for the wood look, keep in mind that these doors are best installed in areas that have a degree of protection like an overhang or a portico so they are somewhat shielded for the elements. If you are concerned about wood’s natural tendency to shrink or warp, you may wish to compromise and choose a stock wood door that offers a veneer skin over an engineered wood core. There are ways to keep warping at bay. This includes purchasing a door that was stored properly prior to installation and treating the door with a minimum of two coats of a good quality exterior solvent-borne or water-borne clear finish. 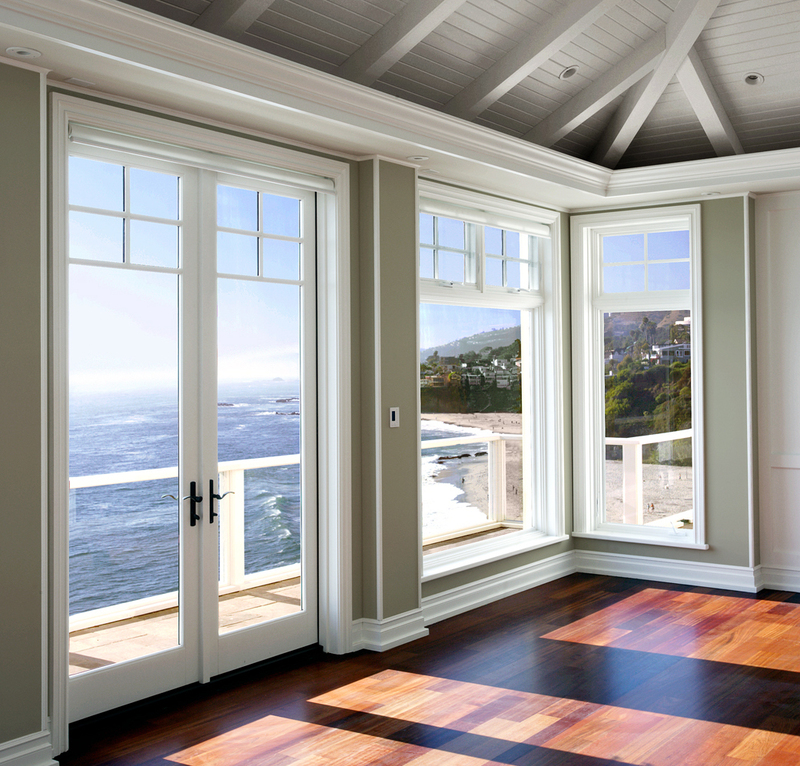 Adding a polyurethane sealant and polishing your door twice annually should be part of a regular maintenance plan. Choosing a steel door is wise if maintenance is something you would prefer not to have to do as often. While just the word “steel” may sound cold, your front door and entryway does not have to look that way. While dings and dents can occur over time, they can be addressed with basic sand paper, a putty fill and a paint-over. Expect some paint touch-ups as part of regular maintenance with this option. 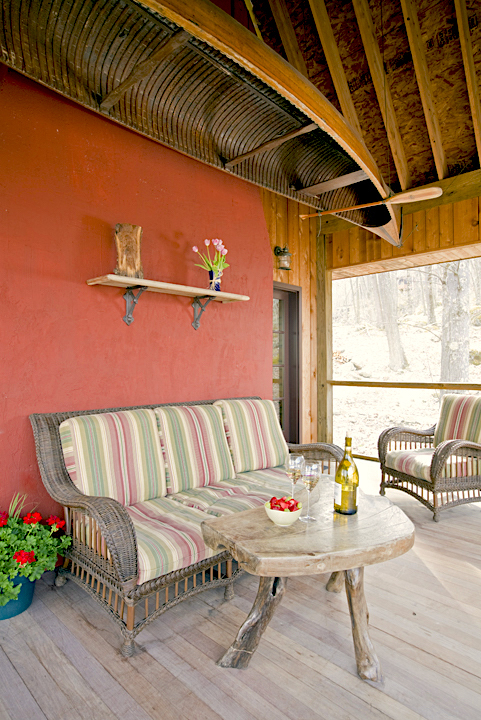 Fiberglass doors can also be warm and versatile. Remember, when choosing your door, the standard about making that all-important first impression, because curb appeal is still king! 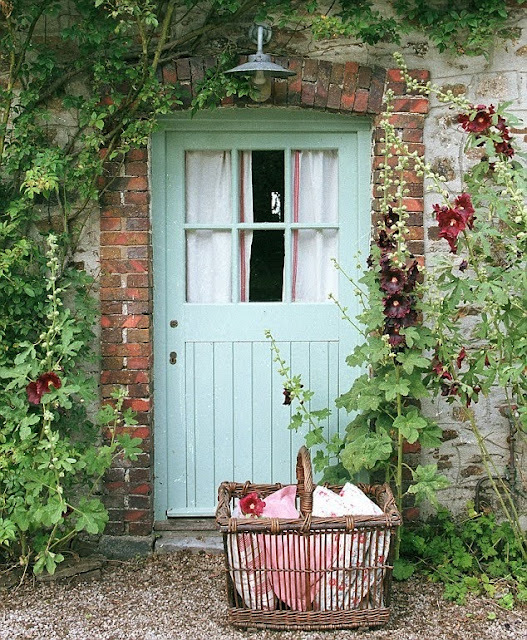 Look for more door tips in our upcoming newsletter and for the next blog in our Curb Appeal series coming in September! 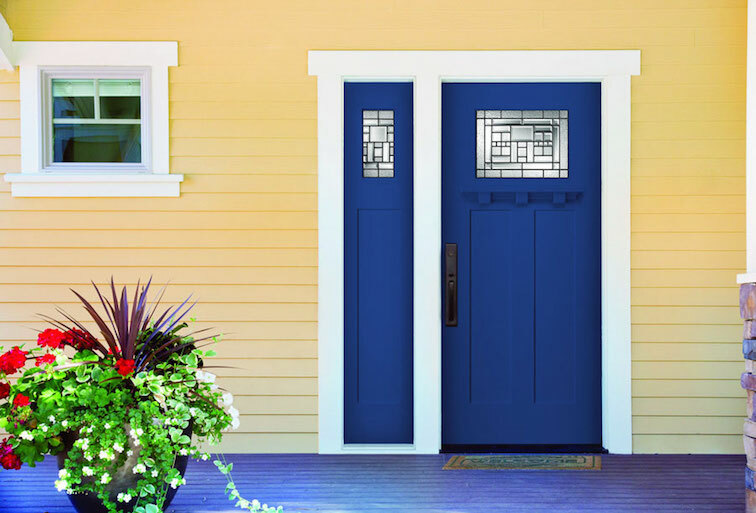 If you’re ready to start your front door project, call us today to schedule a no-cost consultation (410) 643-4040, or feel free to drop-in at your convenience; we are open 8 a.m. – 4 p.m., Monday through Friday. Author Jennifer VoshellPosted on August 1, 2018 Categories custom home building, home design, UncategorizedLeave a comment on Curb Appeal Series: Adore The Door! A secret space. 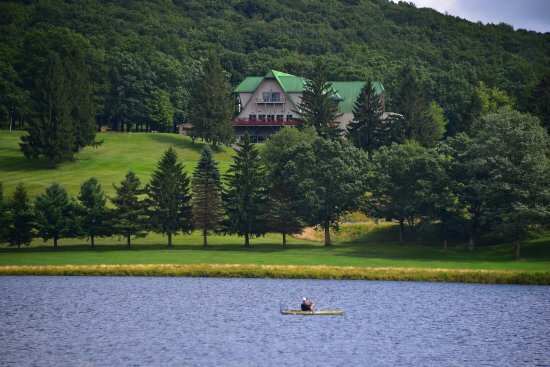 A quiet place. A restful repose for a hectic day. Don’t you want that? We do! 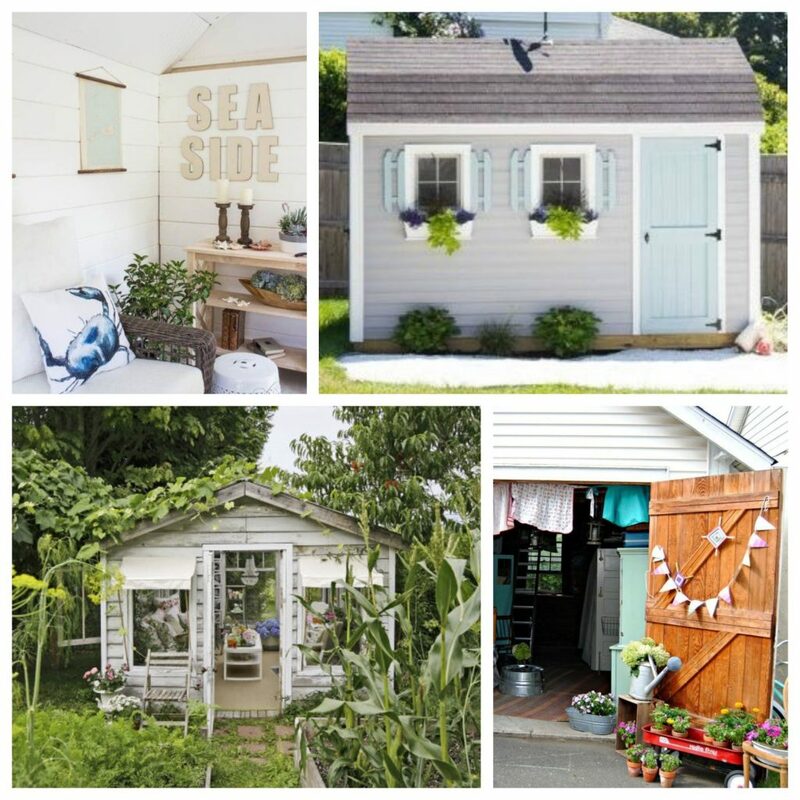 Probably the greatest advantage of this luxe shed trend is the fun you can have with the creative process. This could be the perfect opportunity to pull some great heirlooms or yard sale finds from the attic and put them to good use. It could also be the chance you’ve been waiting for to address a worn out building on your property that needs some love. Even if you have a ruin of an old farmhouse, cabin or greenhouse on your property, you can consult with your builder and design professional to see how it can be salvaged and turned into additional “pride of place” space. 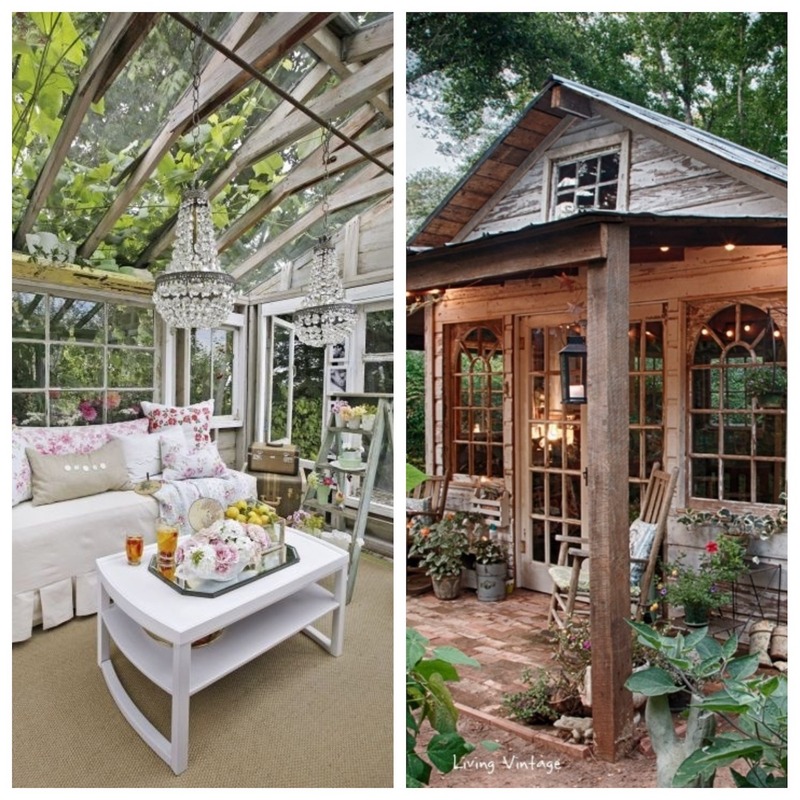 The pros can make sure your shed design provides ample natural light, any custom touches you desire and addresses the way you wish to use the space. 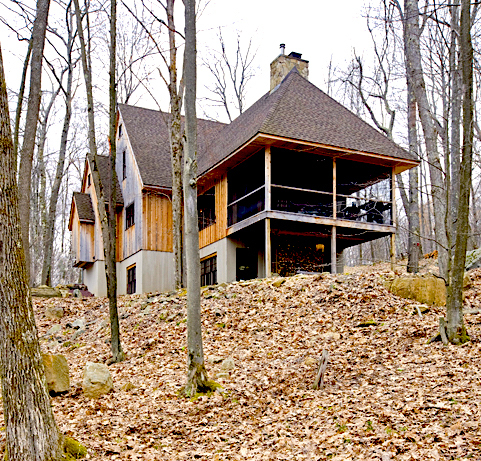 And there’s another unique outdoor retreat…the sleeping porch, that might work well for some Eastern Shore dwellers with limited space on their existing property, the sleeping porch. 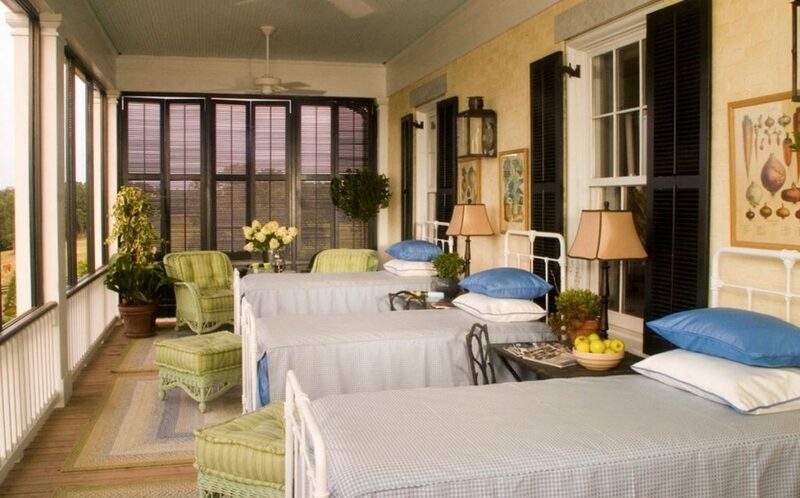 In fact, if you have a screened-in porch, you could be well on your way to some serene and starry nights, or perhaps just naps, with this reminiscent summer camp-like option, that first became popular during the Victorian Era—the days before air conditioning. Today sleeping porches are coming back into fashion as homeowners seek to get more use out of their hard-earned square footage and there are so many more materials suitable for outdoor living. Invest in good, tightly woven screening material to keep bugs at bay. Privacy screening is also available but it can look darker and take away from the ambience you wish to create for your space. 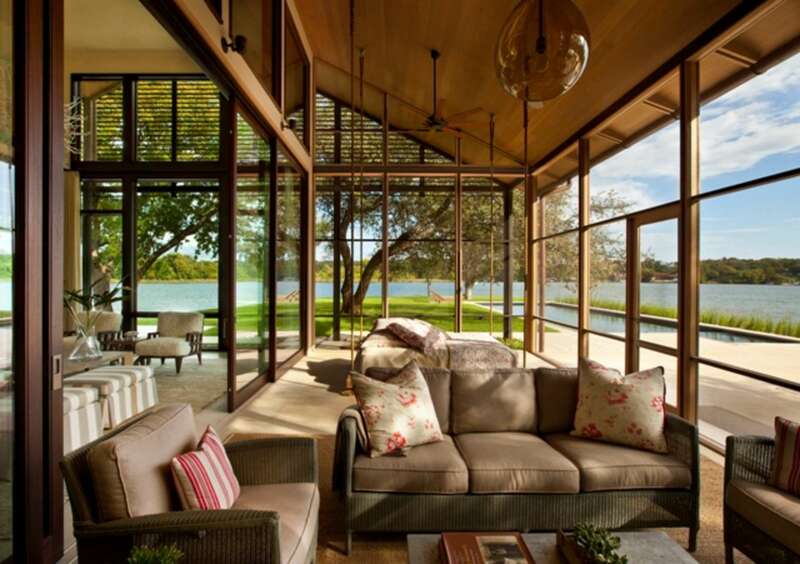 A great compromise would be to invest in polyester screening with an 18 x 14 mesh screen and then hang blinds or simple indoor/outdoor cabana-style curtains for extra privacy in the evening. Make sure your roof structure is sound. While rain is likely to lull you to sleep, a soggy bedsheet is far from comfortable. 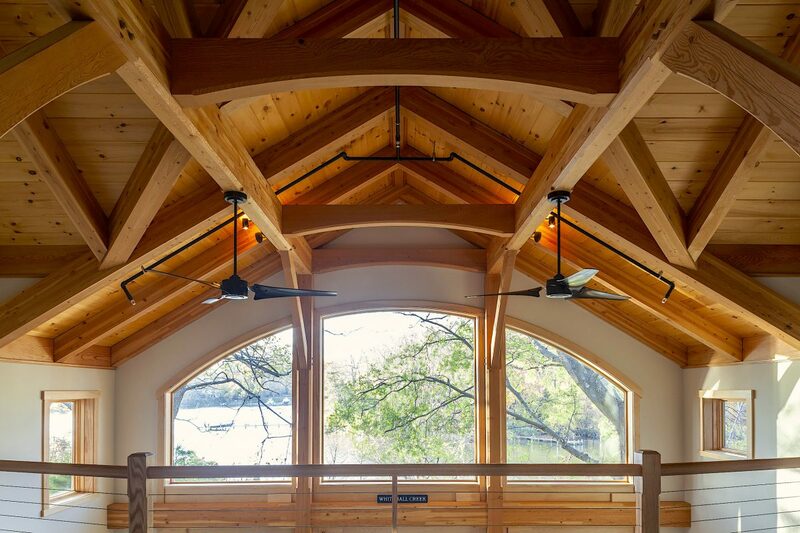 Install a ceiling fan to keep air circulating on muggy days. For security, a low railing along the perimeter is recommended. With proper planning, the right materials and sound professional advice you could be enjoying the benefits of a sleeping porch three seasons each year. If this sounds like a plan you wish to pursue, contact Lundberg Builders today at 410-643-3334 or visit lundbergbuilders.com. Lundberg Builders, Inc. is located at 314 Main St., Stevensville, MD.